The market may fall further but those fears didn't keep bargain hunters from buying on the dip.If you are waiting to buy a stock you really like but at a better price, this might be the time to do it. 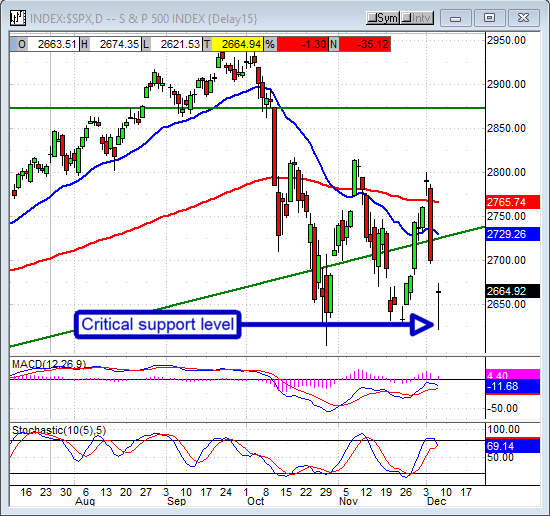 The broad market fell hard in today's action but confirmed support at a key level and ready to bounce higher. The next few days will be important, a break below 2,625 for the S&P 500 could spell the end for any hopes of a Santa Claus rally.